An iconic American brand with a long history of innovation, Schwinn® continues to develop products for healthy, active lifestyles. 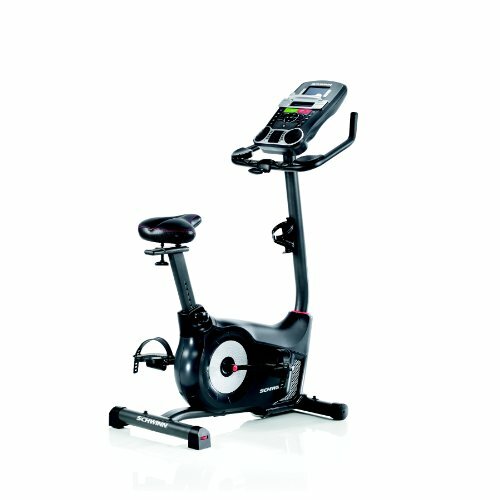 The new Schwinn cardio line consists of a family of upright and recumbent bikes and ellipticals. The product line features an updated Schwinn DualTrack™ LCD display and goal tracking functionality to set and track time, distance, and calories. These workout metrics can be uploaded via a USB thumb drive to the SchwinnConnect™ website for weekly, monthly, and yearly tracking of progress. It is also compatible with MyFitnessPal. Additionally, the console’s USB port can be used to charge your smartphone, tablet or other media device while working out so you don’t have to worry about draining your battery. The Schwinn 170 lets you use core, stabilizing muscles to balance your body weight in a familiar cycling position. With easy to use features, simple assembly, and a unique console designed with you in mind, the Schwinn 170 is reliable transportation to a better you. Features include a high speed high inertia perimeter weighted flywheel, 25 resistance levels, 29 workout programs, in-console speakers, USB charging port, and contact heart rate monitoring built into the handlebars. – 3-speed fan to keep you cool.